The roof is an investment. The roof you choose for your house or property can be a long term investment. Although roofing projects can be pricey and costly, looking for the best quality roof is best. Even any relatively small repairs may cost a lot but will also serve you for a long period of time if installed and done properly. A sturdy roof ensures you and your valuables are safe and secure, especially during bad weather. It can provide high level of comfort and protections for your family and help you cut down or reduce energy costs, especially when you choose to install advanced roofing system with insulating values and heat deflation. 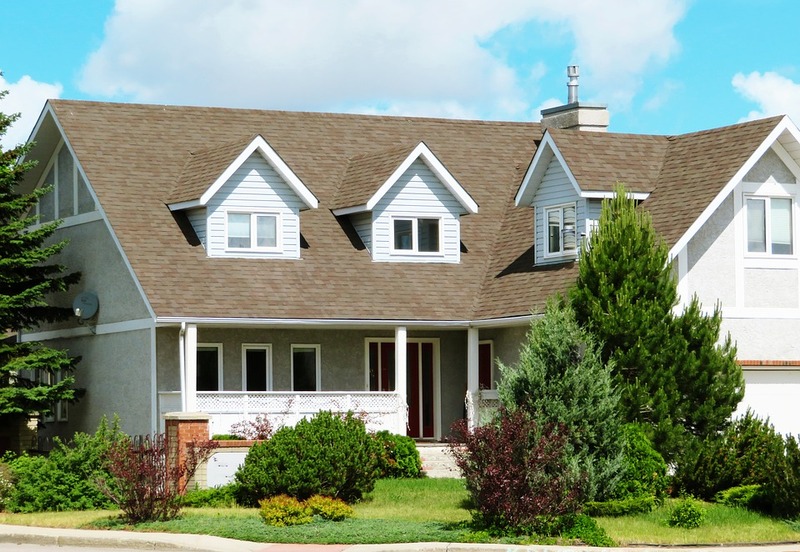 Investing on a quality roof system will definitely improve the curb appeal of your property. The roof starts from the attic. The roof actually starts from the attic. As you plan for the roofing system, whether for remodeling or for repair, it is important that you consider the attic as part of the roof. Any roof installation will have an effect on the attic, which is why it is very essential to check on the attic first and include its design and condition before deciding the roofing system you want for your property. Wrong choice of roofing system and insulation may result in bad odor, accumulation of mold, and leak, which will definitely reduce the longevity and quality of the roof. Moreover, improper insulation on the attic may decrease the value of the house or property. The color of the roof. There are dozens of colors and shades suitable for the roof. When you choose a color, you have to know which one is perfect to blend with the color of your house or property. In this case, you will need the expert’s professional service. The designer can do all the work required in choosing the right color for your roof. Based on the expert’s guide, it is helpful to know that the darker the color of the shingles, the more they will absorb heat from the sun, thus result in higher temperature in the roof and attic. For easy and accurate choice of roof color, entrust the job to the reliable and professional roofing contractor and designer. The most significant part of a home is the roof. If you want to improve the value and appearance of your house or property, it is essential to consider the roof first and foremost. With the right knowledge and proper planning, your roof will be a valuable investment for your home improvement. While you may be a thoroughly competent DIYer, there are things around your home that require professionals for repairs and renovations. One of such is your roof. While it is a sizable investment, a roof is also essential to a larger part of your home. It secures you, your, possessions and your family, and the rest of the structure. It means, therefore, that you need to take serious consideration of your roof all the times like hiring a professional roofer whenever it needs repairs or replacements. Besides ensuring that you get credible, competent, and reliable professionals (because there are, many scammers masquerading as roofers), there are many other reasons why you should hire a roofing company to replace your roof. Here are some of them. 1. It will save you money and some capital-related issues. You probably don’t have all the materials and tools you’d need to replace your roof properly. Roofing companies in North Richland Hills, TX like Gotcha Covered Contracting have the right materials for the climate. Besides, the company’s professional roofers can get the right roofing materials at lower prices than you would. Moreover, if you have a big home, with several houses that need re-roofing, you will require a lot of money on the front-end. A roofing company may provide the working capital to pay employees and suppliers so that the job can be completed without such issues as employees quitting or lien’s being filed. 2. The company will bring competence and experience in the job. In fact, every roofing project comes with its unique challenges that require experienced professionals. Only a competent and experienced roofing contractor from a recognized roofing firm can handle any roofing situation that may arise. Did you know that the CDC listed ladder-related falls as leading fatal falls? Working on a roof can be a hazardous job especially if whoever is doing the job lacks experience and proper equipment and tools for the job. A roofing company will give you professional roofers who know and comply with the on-site safety measures and procedures that will prevent them and any people nearby from injuries. Again, as roofing companies and their roofers have insurance, should an accident happen while they are on the job, the insurance cover protects you from any liability claims. Would you or the friend you promised to buy bear for helping you replace your roof have the same protection should anyone of you get an accident? 4. The company will do quality work. 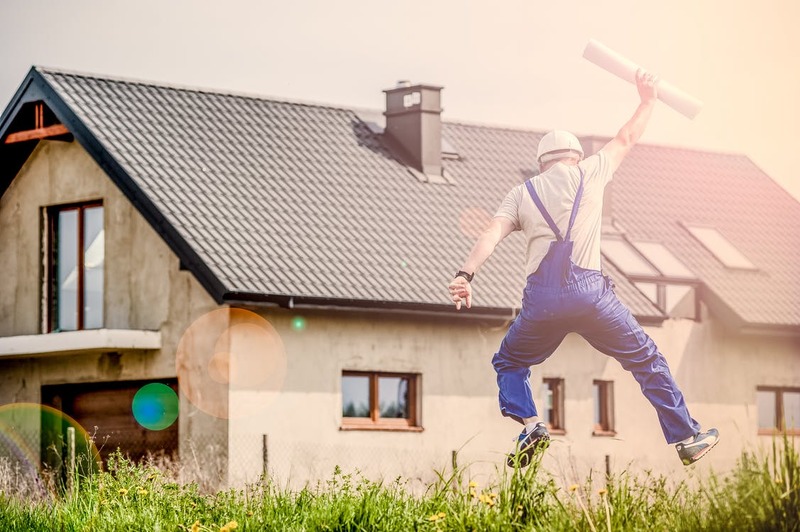 According to J Garza owner of Metro Area Construction in Minnesota, you will get peace of mind knowing that your roof is being replaced by licensed professional. Again, a roofing company will use the right and quality roofing materials specific to your type of roof. They will do a proper installation to avoid such issues as leaks that could leave you and your possessions exposed. You know that if your roof is not properly installed, you can lose any of your rights to insurance claims, right? That should be enough reason to hire roofing professionals to do the job. 5. Roofing companies offer warranties. You want some guarantee that your roofing replacement will be completed. The materials and labor that most roofing firms use have warranties. So in case, an issue arises after the roof replacement, for instance, if roof leaks develop, your professional roofing company will do the repairs at no extra charges. 6. The replacement will be done faster. It may take you and the friends helping you longer than you expected to replace your roof. Professional roofing contractors are more familiar with the job and can complete it quickly. Contact a roofing company to get your house re-roofed as soon as possible. Are you thinking about roof replacement for your home? Do you feel that you are not able to take a good decision on the type of roof that you need to install over your head? Well, with the market flooded with plenty of varieties of roofs, it always becomes very difficult for the homeowner to choose one roof. One thing you should understand is that no two roofs are the same and they will be varying in features and characteristics. You need to choose a licensed and insured roofing company like Authentic Restoration of Indiana that can find the best roofing material that is suitable for the area where you are living, the style and the design of your home, and the budget. There are quite a few factors that you should consider when choosing a roof. Will the roof offer very good longevity? Does the roof have the capacity to withstand natural perils like hurricanes, hailstorms or strong winds? Will the new roof be perfect for the existing roof framing or will it be a tad heavier? Are the materials used to make the roof eco-friendly and recyclable? Is the chosen roof meeting the local building codes? Does the roof have a decent slope? Apart from this, you need to consider the price of the roof and its style and design. Given below is a rundown of the various types of roofs that you can choose for your home. This is one of the oldest roofing materials. It is highly durable and will resist fire and wind. 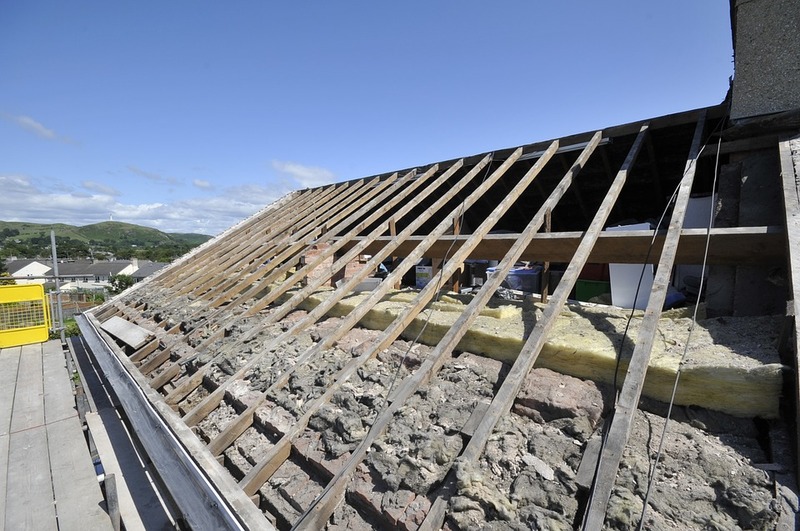 They look brittle, but are very heavy and hence needs a very good roofing support structure. They are made using natural slate rock. It is eco-friendly and ideal for steep sloped rooftops. They are the most popular type of roofing choices for many homeowners. They are made using a fiber mat or fiberglass, and are impregnated with asphalt. The fiber mat shingles are ideal to use in areas where cold weather is prevalent. The fiber glass shingles resist moisture and fire. They are attractive to look at, moderate in weight and are ideal to be used for low to fairly steep sloped rooftops. They are moderately expensive. Top brands include Owens Corning and GAF. If you are looking for heavy, rustic looking and long-lasting roofs then think of clay tiles. They will bring a classic Italian, Spanish or Indian countryside look to your home. They are made using natural clay and are eco-friendly. They are heavy and are ideal for homes with moderate to steep slope. They are expensive, but will last for many years and offer excellent fire resistance. They are more expensive than asphalt, but will last a long time. These roofs are wind resistant and are made using aluminum, copper, steel or zinc alloy. They come in various designs and colors to add the beauty to your home. The metal roofs can be bought as sheets or as shingles and are lightweight. They are perfect for low or steep sloped rooftops. They are made using recycled materials and hence can be recycled once it gets damaged. You will be surprised to see the complete makeover your kitchen will get when you choose to change the cabinets and other accessories of the kitchen. Remember that you need not have to spend a lot of money in the process and you should always focus on bringing in more functionality into the space rather than working on the good looks. In this way, you will get better value for the money spent on the project. You can also take the help of professional handyman in this regard and they will be able to fix the cabinets and even do any minor repair works in your kitchen. Remember that you will need a proper space to store your utensils and other things in the kitchen. In this regard, you should make the best use of available space and choose the latest design for the storage cabinets. This will help you to store items in appropriate racks which will not only save space, but also make it easy to access them whenever needed in the kitchen. You should also position the storage cabinet is such a manner that it will slide easily and give you enough space to work around in the kitchen. You have to understand that giving a makeover to your kitchen is all about choosing the best accessories for your home. When you replace the old refrigerators, oven, and other accessories with the new ones, you will bring in a significant transformation to the entire space. Apart from that, you can also consider putting some wall art that will suit the theme of your kitchen. It is also possible to get the entire kitchen space covered with wallpaper that will give it a completely new look. You can easily accomplish all these construction tasks in quick time and this will not affect your everyday activities in the kitchen. 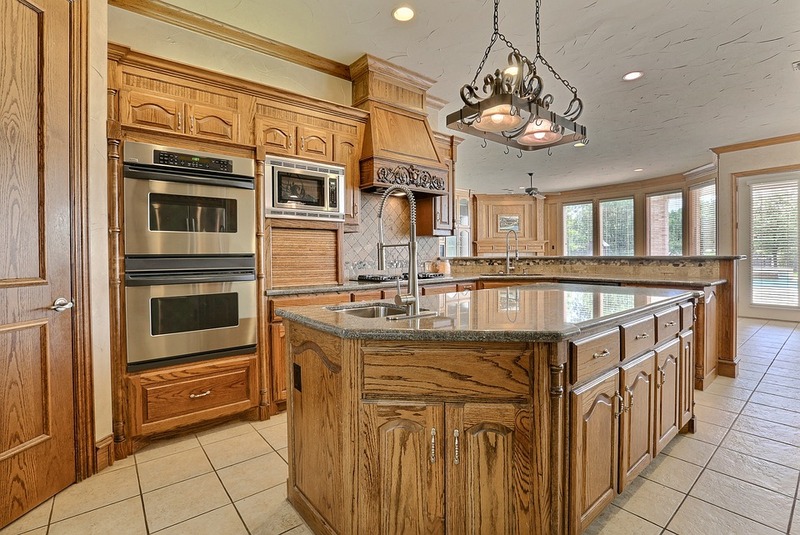 If you are not willing to change the complete layout of the kitchen, you can consider installing the countertop accessories that will be laid on your existing cabinets. In this way, you will be able to retain the existing design and yet manage to change something in the kitchen. Apart from that, it will also add some additional storage space in your kitchen which will help you to keep everything covered in the cabinets. You can also consider installing the latest designs for the faucets and this will improve the functionality of the kitchen. You will be glad to know that you can even bring significant changes to your kitchen by changing small things like the knobs and other accessories. You need not have to spend lots of money for such accessories and you can get most of the things done in quick time when you choose the services of a professional handyman. They will have many years of experience in this field and they will also suggest you with the best ideas that will help you to upgrade your kitchen in an efficient manner. One of the biggest mistakes made by homeowners or building owners is postponing the roof repair. Avoiding timely mending works can lead to more expensive repairs and difficulties for the people using the building or home. Having some basic information about the different types of roofs and the effect of weather on the roof materials will help in making the roof repairing easier and safer. Roof maintenance and preventing leaks are important for the long life of the roof and for controlling your power bills. A damaged roof can cause excessive power use as cooling or heating will not be very effective. You need to consider the roof repairs depending on the type of roof installed on your building. Wooden and asphalt shingles have different properties and have to be handled in a different way during repair. Repairing damaged wooden shingles and replacing them may require higher expenses than repairing asphalt shingles. Metal roofing is preferred by commercial buildings as they are long lasting and require less maintenance and repair as they can withstand extreme weather conditions. Tile roofing can last may years and are less expensive than metal or wooden roof. Composite roofing is making a strong case as to why we should stop using traditional natural roofing solutions such as slate or cedar shake. Synthetic roof tile lasts longer and is made of recycled plastics making it lightweight. No need for additional costly roof supports. If you live in an area where it is illegal to install a shake roof, Brava Roof Tile can be a great alternative roofing solution. The roof repair work is dangerous as the wooden and asphalt shingles are slippery when they are wet and with sloped roof the chances of fall increases. It is necessary for the workers to use the needed safety harnesses before attempting repair work. So it is better to opt for contractors who will have all the necessary equipments and safety harnesses to secure their roof repair workers. Apart from the type of roofing material used and the safety harnesses needed, the extent of damages also plays an important role in deciding the expenses needed for repairing the roof. Any minor leak restricted to smaller area can be done with fewer expenses. If the water seepage or leaking is more your building structure will get affected and this will lead to high expenses. If there are many roofing fixtures installed on the roof like chimneys, skylights, etc., then the roof repair cost may go higher. Read more to learn how much a new roof costs in 2017. The cost of roof repair depends on many factors and the estimated cost of expenses for roof repair will vary depending on the roof height, ease of accessing the roof, type of roofing material that will be used, condition of the present roof, license expenses, labor charges, etc. You can consult the best roofing professionals in your area to get a quote for the works to be done on the roof. 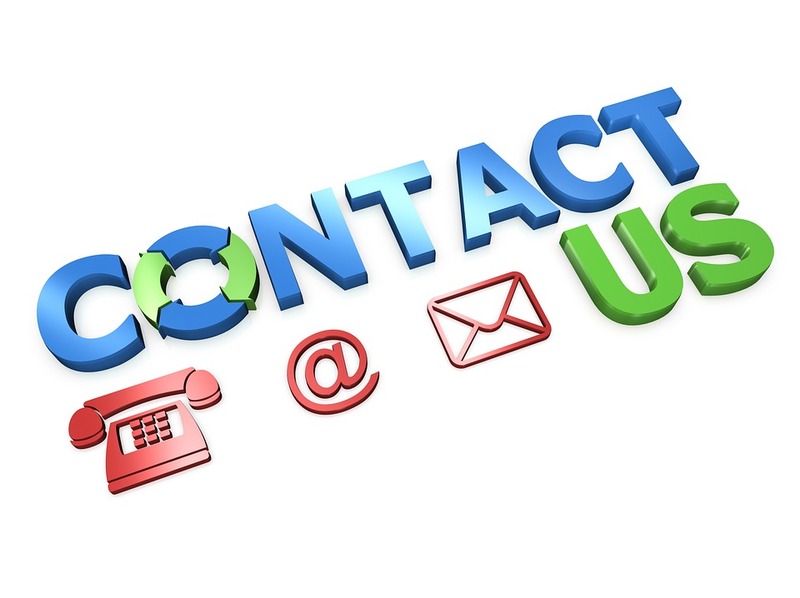 Based on the quote you receive, select two or three companies which use good quality materials for repair as well as offers moderate rates for the repair work. It is better not to opt for cheaper contractors for roof repair as the quality of the work or the quality of the materials used for the work may be compromised. Go through the reviews about these companies, and select the one with maximum good reviews. Owning an individual home is a dream for many. According to Nelson Contracting LLC of Lincoln, NE, constructing a home is not a simple process and it needs proper design, planning, and the right people to construct it with the right kind of materials. You need to consider various things when you are constructing a home, like what should be the size of the home, the cost of construction, availability of materials, the necessary convenience to be included, etc. You will have to face many difficulties and challenges when you are constructing a home and with the help of right building or construction contractors, you can make the whole process simplified. One of the major concerns of the people trying to construct their own home will be the availability of skilled and knowledgeable building workers. Professional building contractors will be able to supply staff with thorough knowledge about the nuances of the construction process. The staff should be friendly and they should be dedicated to their work. This will help the your contractor to finish the work within the required time and with the needed accuracy. Only experienced workers will be able to understand the requirements of the client and will deliver accordingly. This will help in reducing the problems that are faced by many property owners during home construction. A construction site needs different kinds of equipment to do various jobs involved in construction simple and less risky. 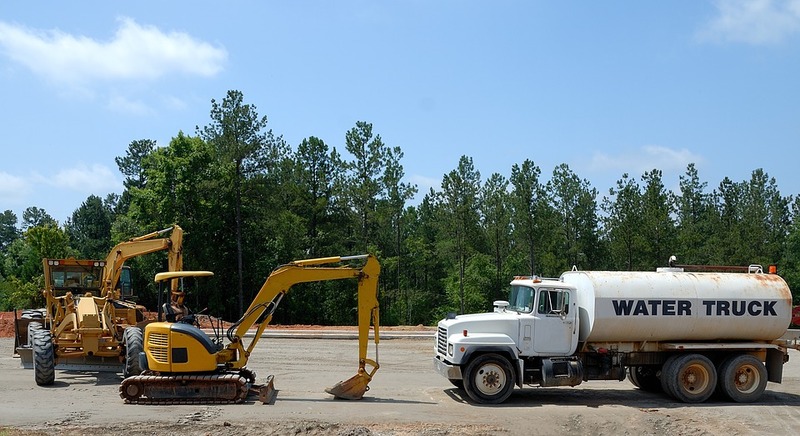 Only a well-established construction company will be able to deliver the right equipment required by your construction site and the design of the building. Use of equipment will reduce the use of manpower and will speed up the construction. The client will be able to save the cost of manpower when the right equipment is used. So, when hiring the construction contractor or company, make sure that they have the necessary equipment of their own to do the work. If the company is hiring it from some other construction company or rental the cost of construction may go up than expected and it may not be available at the right time. This will cause unnecessary delay in construction. It is necessary that the landowner gets the permission of the local authorities before making the construction at the required site. Your construction contractor will be able to get the plan sanctioned by the authorities easily as they are aware of the rules to be followed while designing and constructing the house and they will create the plan accordingly and will submit it for approval. Once you have the building plan finalized, you can get the quote for constructing the building from the construction company or the professionals so that you will be able to know about the approximate amount needed for completing the construction. Having the finances arranged well in advance before starting the construction will ensure a smooth flow of the construction process. So, do proper research about the best construction services in your area and select the best one that will be able to fulfill your needs. Best Colors for Your Metal Roofing?